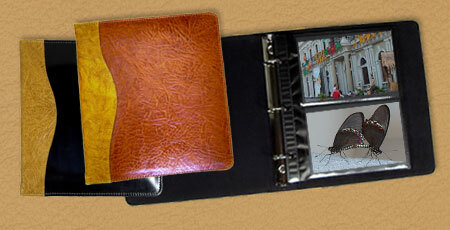 easily accommodates 2 - 4 x 6 photos per page face. 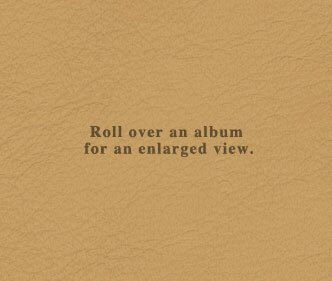 Our albums are handcrafted from the highest quality materials available. Each leather panel is carefully selected and cut to dimension before being bound about a strengthened, moisture resistant core. Every care is taken to assure that each album will be a worthy keepsake, designed to preserve your most precious memories for generations to come. Powell only uses premium archival/museum quality page inserts composed of ultra clear low glare polypropylene film. Available in any combination of colors from our swatch. We got the book and it looks amazing!!! The craftmanship is incredible and we just love it!! !